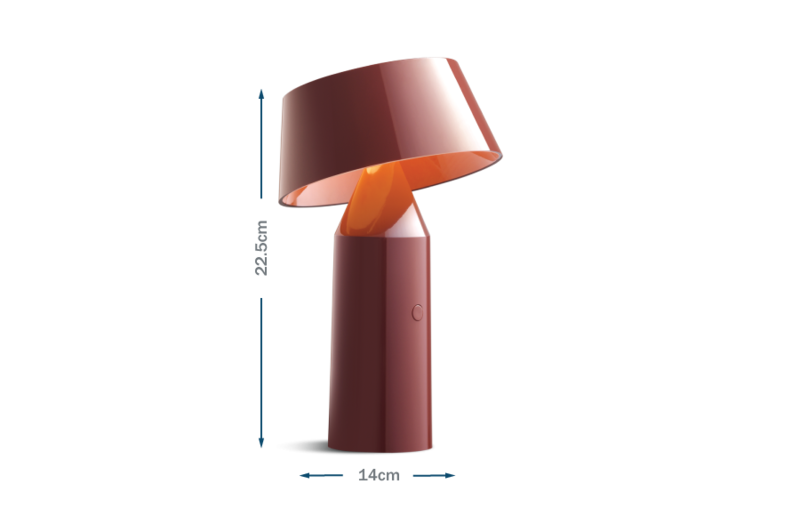 This lightweight table lamp by Christophe Mathieu for Marset will inject a touch of colour to your interior. Produced from polycarbonate, Bicoca’s design features geometric forms is available in a range of colours - white, red wine, yellow, light blue and anthracite and features a tiltable shade allowing the light to be projected wherever is needed. A powerful magnet in the base allows the light to be fixed onto a metal surface. Lightweight and portable, can be easily transfered between rooms. Avilable in a range of colours injecting a refreshing look to your interior. Tiltable shade directs the light. Tiltable shade allows the light to be directed - perfect for reading or lighting up a specific area. Finish: Red wine, yellow, light blue, anthracite, white.